Now a days fancy headbands are must for little girls. And if something beautiful made by MOM always make little one happy. 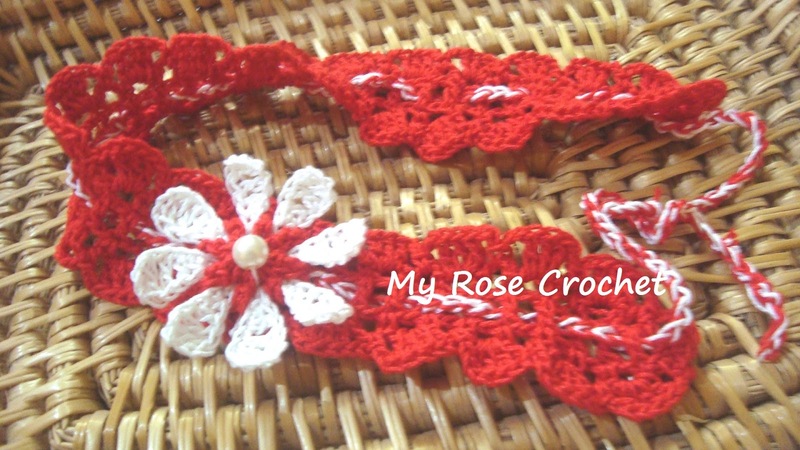 Here is a easy to make cute adorable fashionable crochet headband with flower. It can be done in less than an hour, such a quick crochet project. It's also a great yarn-buster project. 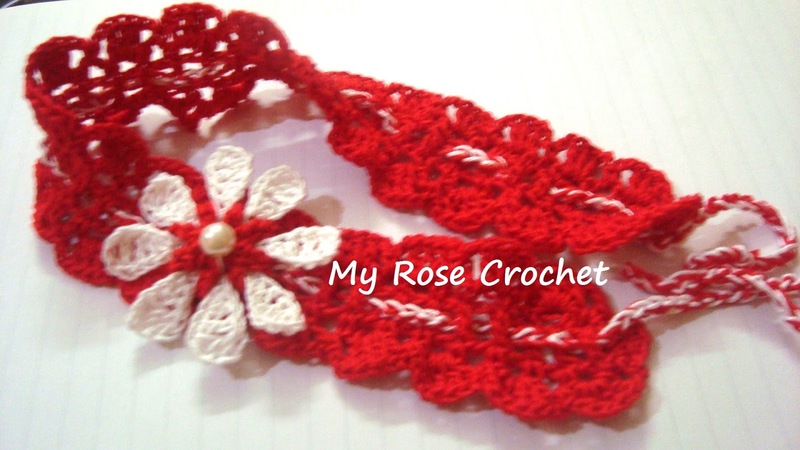 These are awesome for gift.This is a fantastic project for those just learning how to crochet. I am sharing the pattern for two sizes for kids and toddler. You can easily alter the size for bigger or smaller. Measurement - Length - 15", 13"
PATTERN - Start with 83ch for a 15", 63ch for 13". Rnd 1 - 1dc in 5th ch from hook,* 1ch, 1dc, repeat from * through out. Rnd 2 - 3ch, 1sc in beg ch,* 3ch, skip 1st, 1sc in next st, repeat from * till end then repeat same on other side, sl st in beg st.
Rnd 3 - 2sl st, 1sc in next sp, *2ch, 3dc in next sp, 2ch, 1sc in next sp*, repeat * * till end, sl st in beg st. Flower - Get the pattern for Easy Little Flower here. Rope - Using both thread make a rope with chain stitch. Assemble the band with little sewing and Easy Flower Headband is ready to use. Hope you enjoy making these headbands. I appreciate if you share your project out of this pattern in my Facebook page. 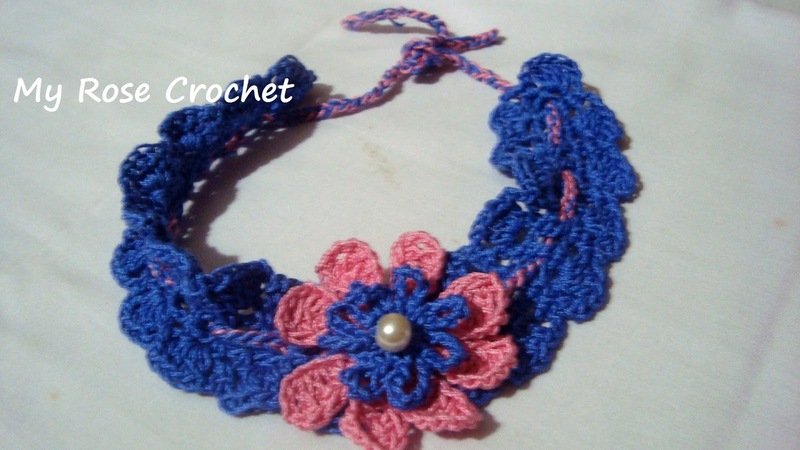 For any query or information about the pattern contact me with e-mail.